I have a Prusa i3 Rework 3D printer. Had it for a while, and still learning how to use it. Recently I learned about printing with “support”, so I wanted to share this information. Almost any shape object can be 3d printed, however there are still plenty situation which will test limits of your printer. For example if you try to print something like this. 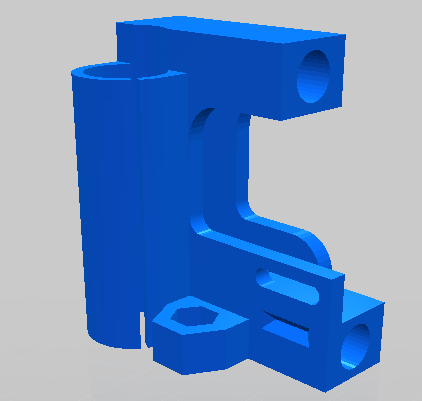 This is improved X-end idler for Prusa i3. It adds ability to tension X-belt. This designed is created by “ramkam“. As you can see, top part of the idler is just hanging in the air. 3D printer cannot print on air, at lest not yet. It lays thin beads of plastic first on print bed and the on each other, bottom layers supporting upper. It’s no wonder that my first print failed miserably. 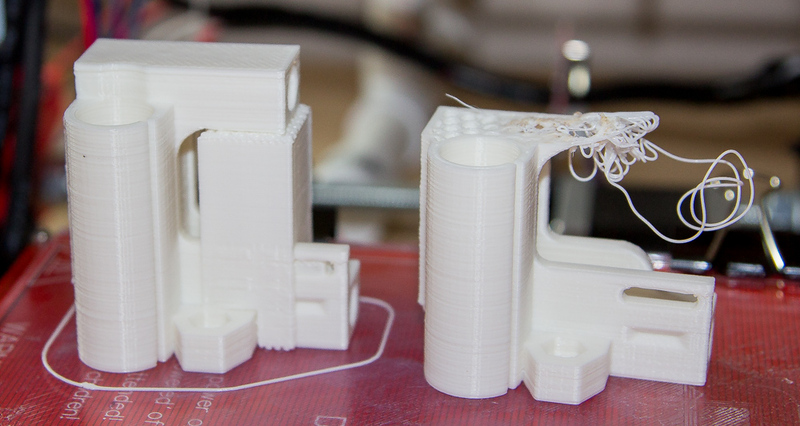 Left part printed with support enabled, right without.. This is where support option needs to be enabled. Doing so will force your “slicer” software to generate additional support structure which an be removed later. 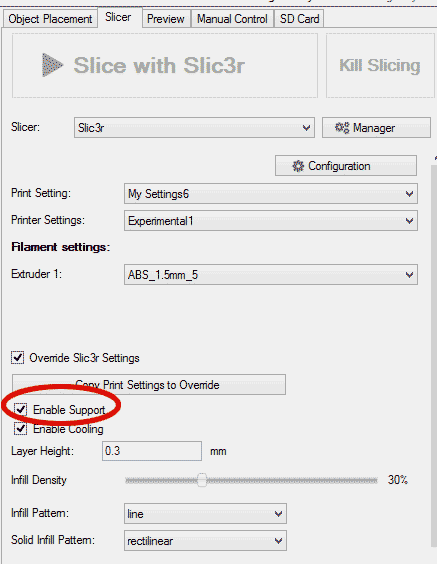 If you are using Repetier Host w/ Slic3r, you can just Enable Support in override settings. You can also do this in actual Slic3r configuration screen, which actually gives you more options.